There are a few options to consider when it comes to organising Carpet Cleaning Equipment Finance. However, the most popular option is usually Leasing. Although we all would like to pay cash for our goods it may not be the sensible option in business! Everyone needs to keep working capital to run a business. Should you use all your capital for a machine/equipment purchase it may mean that other parts of your business will suffer. i.e. not spending money on advertising that may mean a lack of work in the future. The first problem can occur if you require more money urgently – even a small loan with the bank may have exhausted your line of credit with them – or they will require additional security such as your house. If you borrow on an overdraft in order to purchase equipment, the total amount outstanding can be recalled by the bank at any time. Lastly, if you’re not VAT registered it’ll cost you more! On a £2000 purchase you will have to pay £350 for the VAT – so now you must borrow the extra money and pay interest on the extra amount you borrowed to pay the VAT. Hire purchase (also called lease purchase) is also available from our finance company. The good news is all installments are fixed throughout the term of the agreement. It doesn’t tie up your bank. However! The total VAT amount is still payable with the deposit and such an agreement is classed as capital expenditure in accounting terms. Or in other words you’d still have to pay the VAT upfront and you’d be taxed as if you owned. Leasing is the most tax effective of all the borrowing methods as all rentals can be offset against tax at the end of each year. VAT is charged ONLY on each monthly payment. The equipment being leased will be held as the security for the loan – not tying your house up. All payments are fixed for the agreed period, thus allowing more accurate cash flow forecasts. Leasing offers lower rates than Higher Purchase or normal banking loans. At the end of the lease period you do not automatically own the equipment, but through our agreement, you can own the title with one payment of £50 +VAT or one month’s rental (whichever is smaller) and will be agreed prior to signing. In either of the above the agreement may be terminated before the end of the term but all outstanding rentals will be payable immediately. Although you do not “own the equipment” throughout the agreement, you are still responsible for arranging your own maintenance and insurance for the equipment. A sensible way to buy your new carpet cleaning equipment – without huge capital outlay! Nowadays businesses all over the country depend on leasing to acquire their high-value items without putting a strain on their cash flow! Cars, vans, computers, telephone systems and plant equipment are all typically leased by smaller firms. 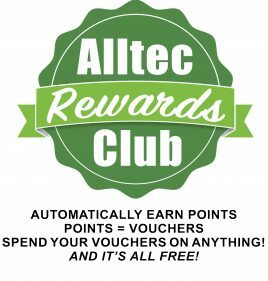 And now, if you wish, you can buy your carpet cleaning equipment through a leasing arrangement with ALLTEC. We are not tied to any one finance company – so can offer you the best possible independent deal … with no hidden extras and you’ll be given a fast decision on whether you’d be eligible or not. We have now made it easy for you, to buy bigger, better machines or extra equipment to make your business more profitable. Plus Lease Rental is now available to business ‘start-ups’ or customers that have been trading for less than three years. Lease Rental really is a ‘tool’ that you should be using to help your business add better equipment and stay ahead of the competition, so your business can offer your customers additional products and services. Thereby making it easier for you to increase your income without touching your capital. 1. Decide which equipment/accessories to lease. 2. Complete the proposal form – if you prefer we can deal with this over the phone. 4. We will inform you of the date the equipment will be ready and either send the leasing agreement for you to complete or keep it here ready for you to sign on collection of your new machine. 5. We invoice the finance company directly. 6. You sign the agreement and delivery note when you collect your equipment. 7. Upon receipt of the documentation the leasing company will process the paper work. 8. The first payment is normally taken from your account by Direct Debit within 7-14 days, (sometime a cheque is requested at this stage – you will be informed) then every month from that date the money will be collected via Direct Debit. The newest and most up-to-date equipment can be more. Keep existing credit lines open leaving cash and bank facilities free for working capital. Rentals are fixed throughout the term of the agreement enabling you to enjoy inflation-proof accurate forecasting. In many cases the rentals can be financed by extra revenue received by having the new equipment. Combat obsolescence problems … as equipment can be upgraded sooner – with low month charges. All rentals are fully “TAX deductible!” You are able to claim 100% of the equipment value against your tax – providing greater tax savings. With lease rental agreements, unless stated on acceptance, all rentals will be collected from your bank by direct debit, including the deposit (first payment of three months money). All lease rentals are subject to VAT. Once the agreement starts, you will receive a schedule of payments detailing the VAT amounts and the due dates. On all Hire Purchase agreements (Lease Purchase) the total VAT for the equipment is payable with the initial payment, by cheque, followed by payments net of VAT by direct debit. I would like more info on this please. I have sent you an email, please let me know if you have not received it. Do you have any secondhand/reconditioned ones for sale or lease please? Am i guaranteed to be accepted for a lease? Hi Adrian, you will need to meet certain criteria as set by leasing companies. If you would like an informal chat please give us a call, we will be more than happy to help. 01763 208222. Do you Truckmounts for lease ? Hi Paul, yes we do Truckmount leasing! Happy to chat more about this if you drop us a call or email.